Continuing my Q&A feature, here is the #3 batch of questions! 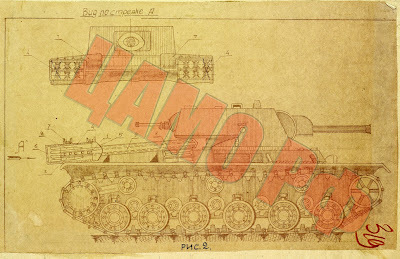 Q: Can you list all the proposed KV-4 blueprints, their implementations in-game, their actual speed, and armour schematics? What tiers can they be implemented in? A: I don't have all of them, but I do have some. Data on the designs is a little sparse. For some, not even their creator is known. There are twenty of these things, so I'll cover the interesting ones. In game, Fedorenko's design would be roughly the same, except with a bigger weak spot where the 45 mm turret is. It is hard to talk about viability of the design in-game, as armour layouts are unknown. Kruchenyh's design. 107.7 tons, 107 mm gun in the turret, 45 mm in the smaller turret. Speed: 35 kph. Front armour: 180 mm. This tank has a bit more data on it. Also similar to the current KV-4, with a bit less gun depression due to the center turret. The armour and weight are about the same as the current in-game KV-4. The speed is a little higher. Buganov's design. 107 mm gun, 45 mm gun in the smaller turret. Speed: 36 kph. This KV-4 is a little faster and shorter than the one in game. The designer apparently hated gun depression with a passion, as none is found here. Shashmurin's design. 107 mm gun in the hull, 76 mm gun in the turret. Speed: 35 kph. Shashmurin's design takes an M3 Lee-like approach: big gun in the hull, small gun in the turret. This thing had little advantages over any of the other designs. Tarapatin's project. 107 mm gun in the turret, 45 mm gun in the upper turret. Speed: 35 kph. This is another TD-like project. The armour is reduced to 125 mm. Maybe this can be a tier 7, if it doesn't get the huge gun. Mihailov's project. 107 mm gun in the turret, 45 mm gun in the hull. Speed: 50 kph. Mihailov's project combines speed with firepower. The useless 45 mm gun is removed, along with its weak spot. The tank itself is lighter than the one in the game, at 86.5 tons. This isn't even the fastest project, Sychev's KV-4 would go 55 kph (sadly, no blueprint is provided). As you can see, all KV-4s are roughly the same. Some of the weaker armoured ones might do well at tier 7, but there is not very much spread. Q: Is the current 107 mm top gun on the KV-4 close to reality? A: Let's take a look at Soviet 107 mm guns. The top gun is the "107 mm high power gun". It gets a pretty impressive 188 mm of penetration at 1000 meters, against armour sloped at 30 degrees. Since WoT measures penetration against flat armour at 100 meters, I'm going to have to do some approximations. The ZiS-6 gun in game gets 167 mm of penetration. The ZiS-6 in that document gets 115 mm of penetration. Assuming the ratios hold, the longer gun in WoT should have about 273 mm of penetration. The in-game gun only has 227 mm of penetration. Russian Bias, why have you abandoned me!? Q: Are there Russian tanks similar to the Sturmtiger? I have read about the RBT-5 and a KV variant with Katyusha rockets. A: There were self propelled T-34 mortar projects, both less than and greater than the Sturmtiger caliber. There was also a 400 mm mortar project for the T-34 and KV-1S, but they didn't have the armoured casemate of the Sturmtiger. 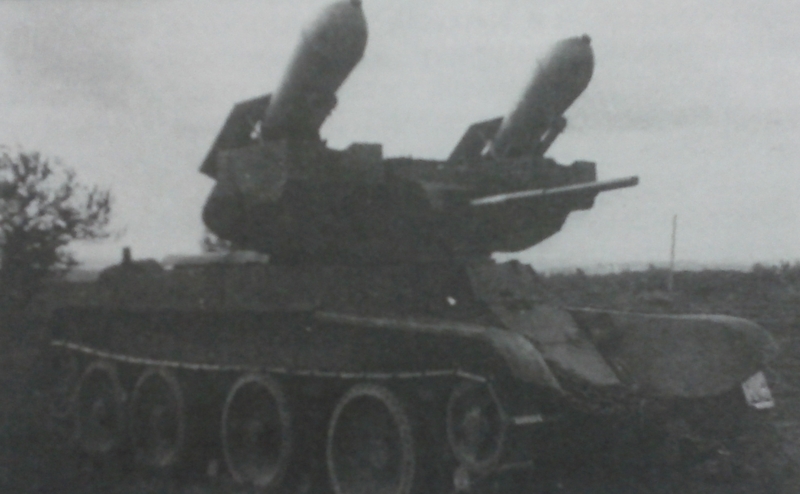 A project existed to mount the BM-13 rockets on a KV-1, but it never went anywhere. As for the RBT-5, it was an interesting tank indeed. While keeping its 45 mm gun, it was equipped with two 250 kg "tank torpedoes", capable of the same destructive power as 305 mm guns, capable of taking out enemy heavy tanks and concrete bunkers. The rockets were aimed with the standard gun sight. The 45 mm gun was used to acquire the range, and then the rockets would be fired after converting it using a table. The range of these rockets was up to 1500 meters. However, the rockets were vulnerable to bullets, shells, and shrapnel, so the project was axed. Another rocket BT project was developed, a BT-5 with 132 mm rockets. Rather than being produced for some combat purpose, it was produced to determine the effect of rocket exhaust on the tank and its crew. Turns out that it was harmless, but was unacceptable in terms of fire safety. The project was discontinued, but the data gathered was used in the Katyusha program. As for direct equivalents of the Sturmtiger, I don't know of any. The largest caliber the Soviets put in a tank expected to participate in close combat was 203 mm. Q: I heard about the successor of the T-39, the T-42, and I was wondering if there is any info about it. A: The T-42 was not a successor, but a predecessor to the T-39 (the T indexes are not sequential). The story of the T-42 begins in 1930, when the USSR invited foreign specialists to consult with on tank building. One of these specialists was German engineer Eduard Grote. The, as SerB puts it, "gloomy Teutonic genius" seems to be set on ridiculously heavy tanks, as Grote proposed a 1000 ton tank in 1931 with either three or six turrets, two 304 mm guns, four 152 mm and 76 mm guns, and two 45 mm guns, with a crew of 40 people. This proposal was denied. Grote proposed a slightly more reasonable tank, only 75 tons. There were only three guns, two 45 mm, and one 76 or 100 mm. The tank crew was 10 people. Based on this project, he also designed a heavier tank, the T-42. The tank's mass was 100 tons, armour up to 70 mm. The main gun, 107 mm in caliber, would be placed in a center turret, that could rotate 270 degrees. A 76 mm gun was placed in the front turret, which could rotate 202 degrees. A 45 mm gun was placed in the rear turret, which could rotate 278 degrees. The tank was planned to be accelerated to 30 kph with a 2000 hp engine. It could also cross up to 2 m deep rivers with a watertight hull and turrets. As of fall of 1931, it was decided that Grote's services are no longer required. That's it for now! Keep sending those questions in to tankarchives@gmail.com, or post them in the comments. > Russian Bias, why have you abandoned me!? If we can't even believe in Russian Bias any more this world has really lost all certainties! An expert of Chinese tanks would be really nice actually, I fear that 121, being a Chinese original development, falls outside of Peter's area. That said Chinese tank projects look really esoteric to me, I understand that WG relies heavily (completely?) on their Chinese partners to get their data about these tanks. IS-2U was IS tank with pike nose. IS-3 got it's pike nose from IS-2U BTW. If the long 107 gets its historical penetration, and we get that 50 kph 180 mm armour project, you could get a tier 10 KV-4! The Maus started development in 1942. 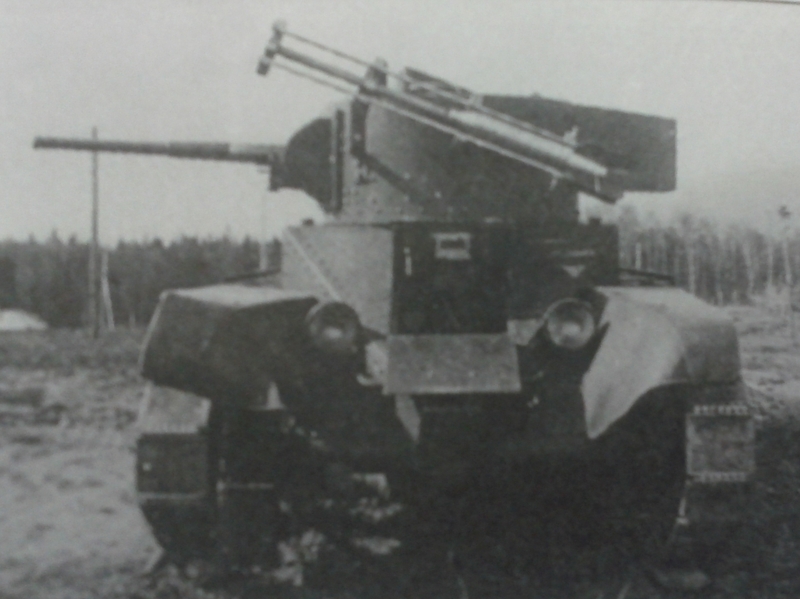 The KV-4 was planned for production in 1942. Very nice article. I totally want all of These tanks! OMG! M3 Lee and KV-4 had a child! Kill it with fire! 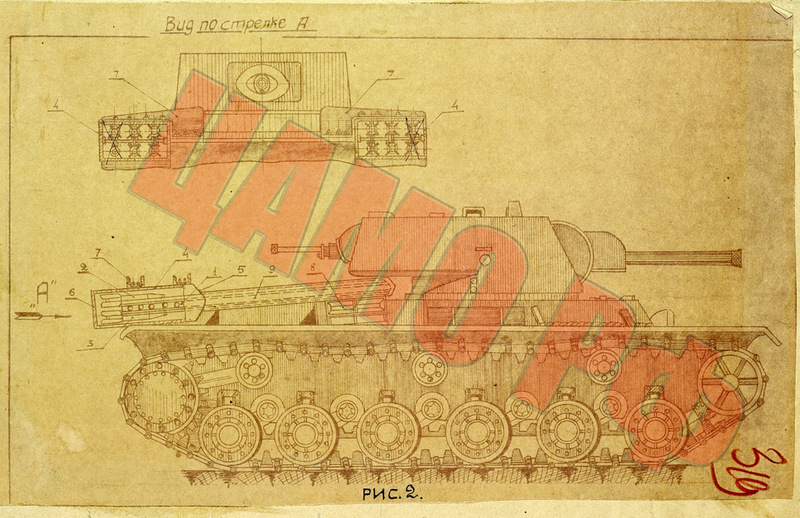 All KV-4 projects were supposed to have at least -5/+20 deg depression/elevation of main gun. Buganov's would make nice tier 7 (armor is IIRC about same as KV-3) for rear-turreted Soviet heavy branch (which will potentially appear in game). Ty you a lot for answering my questions, specially about the KV-4 proposals, i was actually expecting you to provide more information but oh well, one other thing about KV-4, when it was first announced by WG it was sayd by WG themselves quite early it would have a 130mm gun, where did WG get that infro from? If it was planned or possible would that be the 130 mm B-13-S2 from SY-100Y? If a tier 6 TD gets sutch a gun couldnt a KV-4 mount it too? I have not read anything about a 130 mm gun on the KV-4. The hot caliber in terms of high penetrating guns in the USSR was 107 mm, and one of the requirements was that the KV-4 should be able to penetrate its own armour at 1000 meters. Perhaps there was a KV-4 project with a 130 mm gun that WG knows about, but they haven't shared anything on it if there was. They say "A 130mm howitzer will be its top gun"
It was error in translation IIRC. Devs never stated that KV-4 would have 130 mm guns. "Grote proposed a 1000 ton tank in 1931 with either three or six turrets, two 304 mm guns, four 152 mm and 76 mm guns, and two 45 mm guns, with a crew of 40 people"
Did he die and reincarnate as Porsche? Would you please expand more on the three turreted KV at the bottom. I have run across about 4-5 photos on the net of the tank. IIRC something like 2-5 were built, failures, ofc but built none the less. Although I might be getting the tank lines crossed as the Russian made tanks are not my strong suit. The only three turreted "KV" tank was the SMK, and Stalin had one of the turrets removed before it started development. But I now know about the T-35 which I hadn't heard of. Is there any chance for a third Russian heavy tank line? I would love to have another huge Tier X Russian steel beast in my garage.